Valar Morgulis may be the defining characteristic of Game of Thrones‘ eighth and final season. Winter has arrived in Westeros and the pathetic fallacy which follows doesn’t sound like good news for your favorite contenders for the Iron Throne. But knowing this since day one apparently hasn’t made learning the fate of the characters any easier on the cast members, if Emilia Clarke’s experience is anything to go by. Clarke, who plays the inimitable rightful ruler of Westeros, wandered around London ‘aimlessly’ for three hours after the actor found out what happened to Daenerys Targaryen, according to the Press Association, per Esquire. 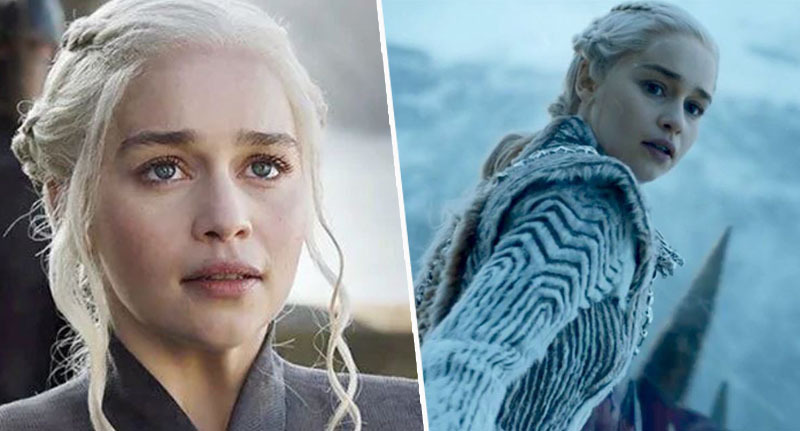 In case you missed it, Queen Daenerys I Targaryen is the youngest child of King Aerys II Targaryen and Queen Rhaella Targaryen, who were both ousted from the Iron Throne during Robert Baratheon’s rebellion. The Mad King was ultimately dispatched by his own Kingsguard, Jaime Lannister. A lot of fans of the Mother of Dragons have been backing her to win the Great War since the early days, and want to see her take her rightful place as ruler with Rhaegal and Drogon flanking her on the most uncomfortable chair in the history of television. But if Clarke’s reaction is anything to go by, this doesn’t look likely to happen for Daenerys Stormborn. After receiving the scripts for season eight – which will finally air in April – she was beside herself upon learning the fate of the character she has played since 2011. To be fair, that’s eight years and longer than most of my relationships – fictional or not. It might as well have been raining, and I would’ve just walked in it not knowing what to do. Clarke, who has been nominated for an Emmy three times for her performance in the HBO epic saga, said she even turned to the sauce to get over what she’d read. She also confirmed there were ‘loads of tears’ as she filmed her final scenes as the Dragon Queen. Cries of happiness at reigning victorious? Somehow, I think not.